Salad! | What's To Eat Today? You are here: Home » Salad! Tuesday, March 1, 2011 | Comments Off on Salad! It was a salad kind of night. I had to do something with the leftover flank steak. 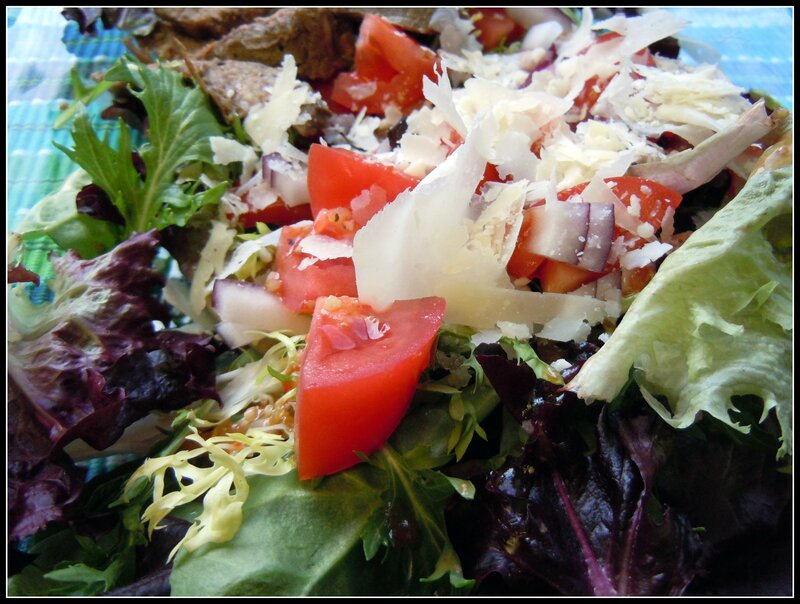 On the menu: Mixed greens, tomatoes, flank steak, Romano & Parmesan cheese.